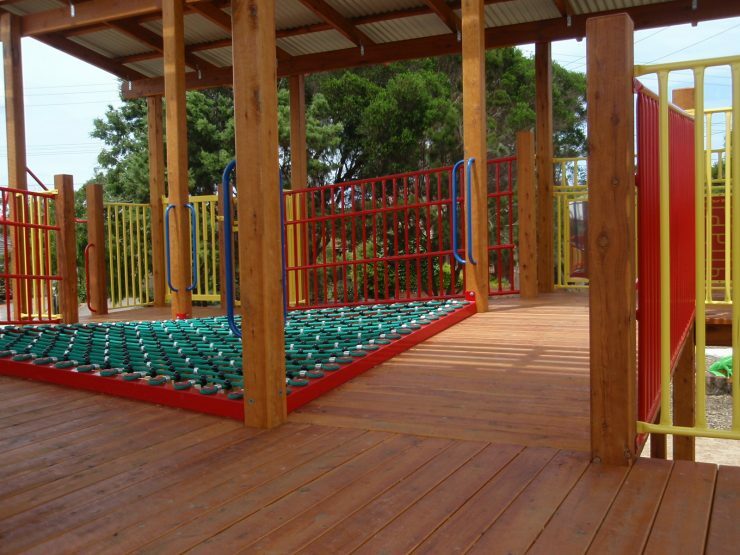 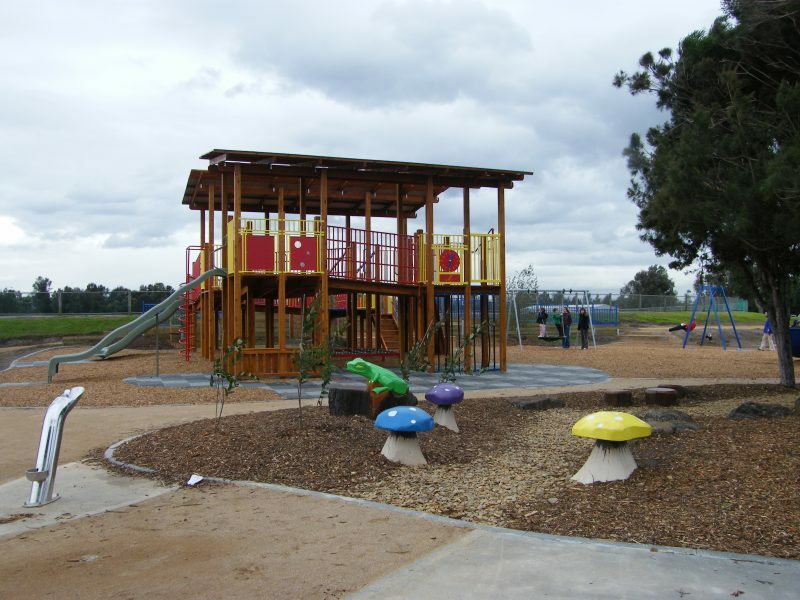 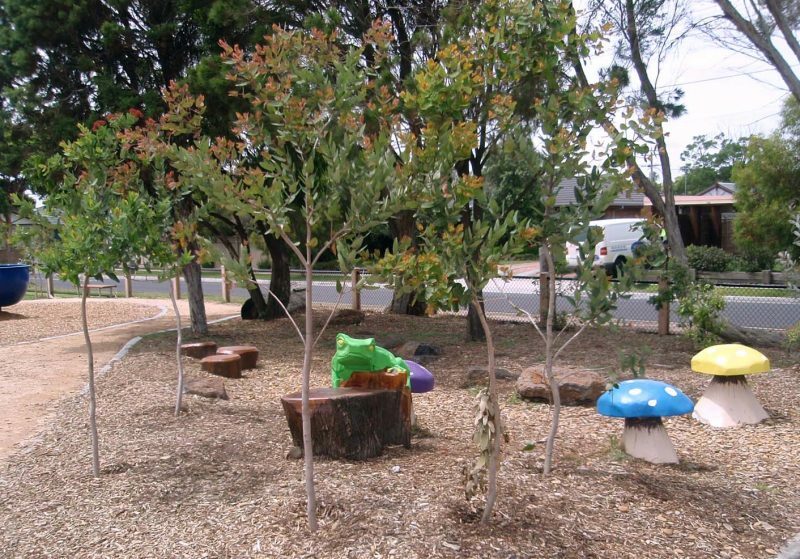 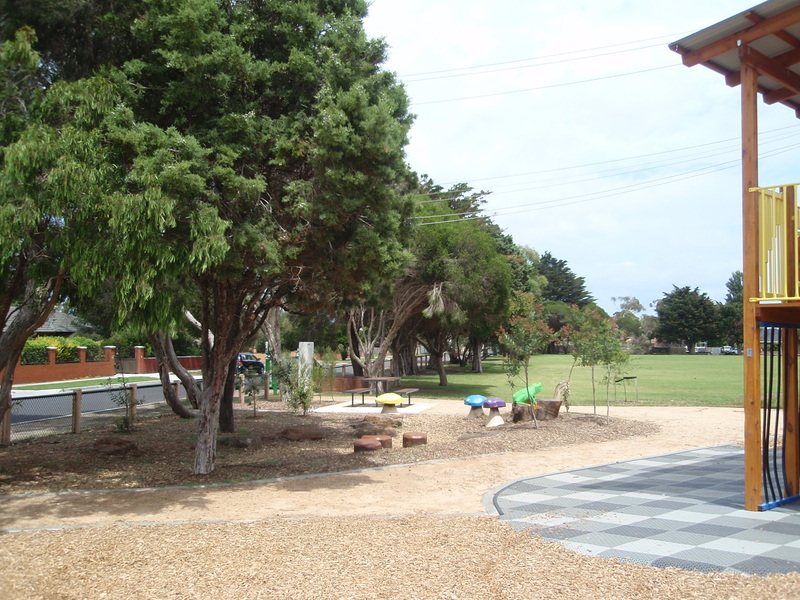 This district play space is located adjacent to the Edithvale Velodrome, softball club and Edithvale wetlands. 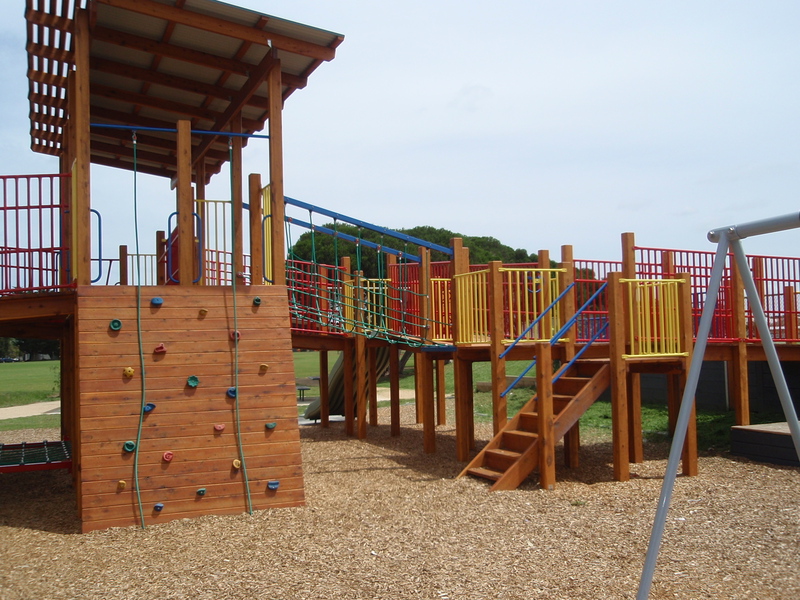 The play structure was built by Adventure Playgrounds. 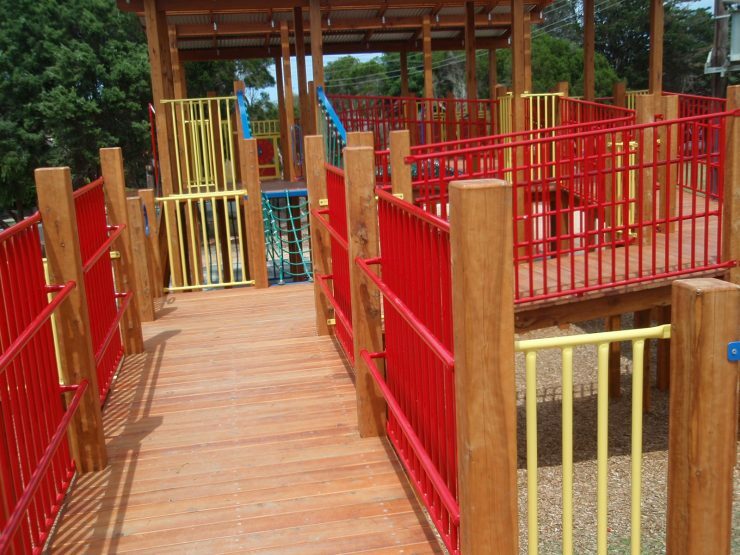 The play structure caters for all age groups and abilities, with accessible ramps creating a loop from the entry to the play structure and back. 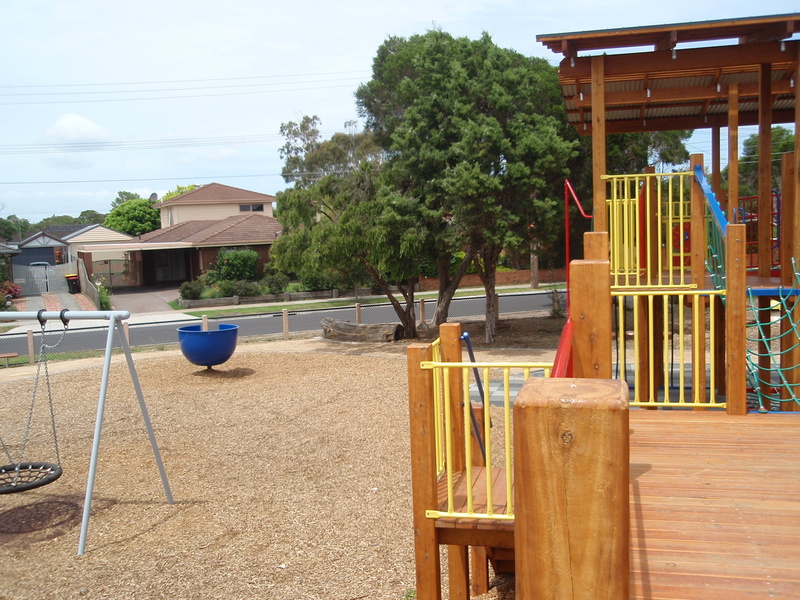 The play structure provides different bridges and ramp connections, and is highlighted by a double level net structure. 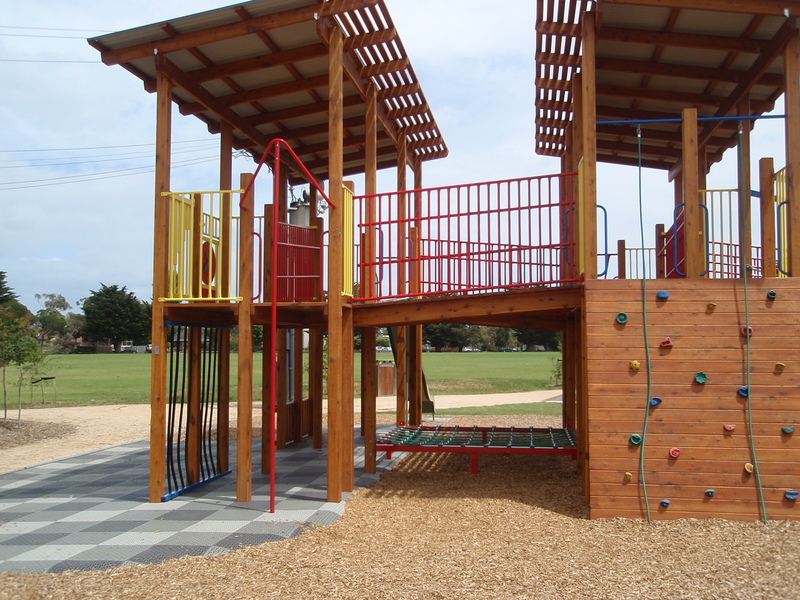 The double level nets provide a challenge and interesting interaction between the two levels. Colours are used on the edges to provide a visual cue for users approaching the net. 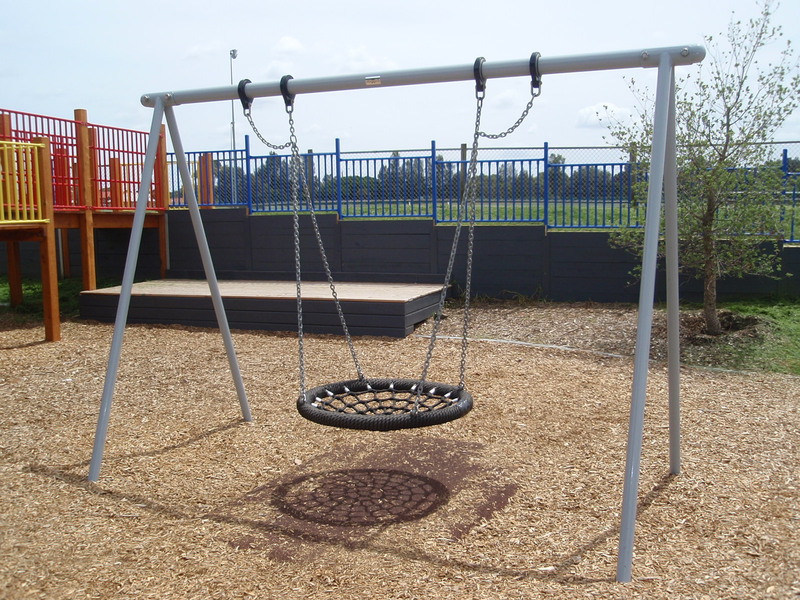 A spinning cup, swing and bird’s nest swing is also provided surrounding the play structure. 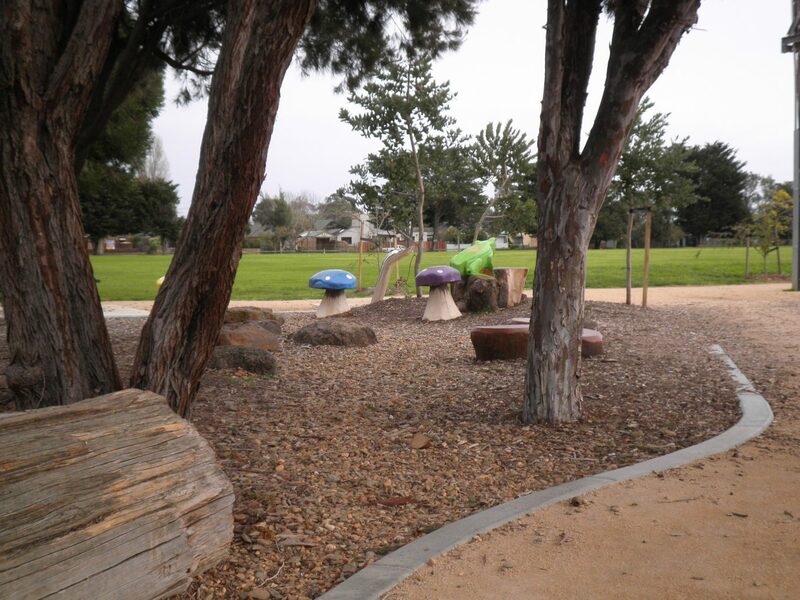 A dry creek bed with loose pebbles winds around the existing tea trees forming a natural play space. 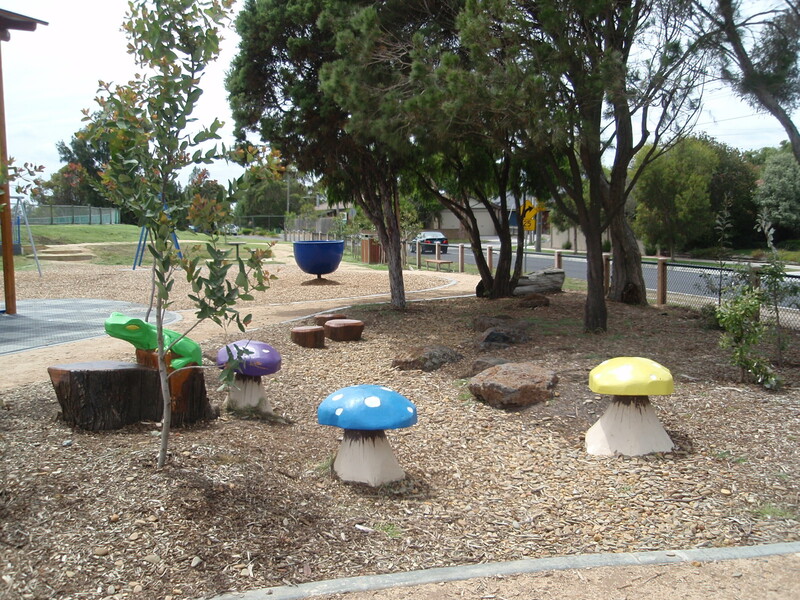 The dry creek bed is further highlighted with frog and mushroom sculptures. 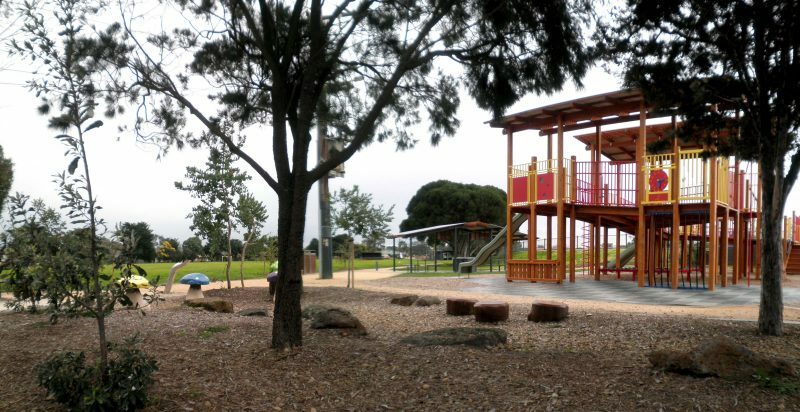 This former playground with outdated equipment is now a busy meeting point for mum’s groups during weekdays and play groups on weekends.